He’s got rhythm. He’s got balance. He’s got the beat. And most of all, he’s got confidence. Eight-year-old Henry Berry plays soccer and baseball and takes guitar and karate lessons. That’s a busy schedule for a youngster, and it takes a tremendous amount of focus and passion to be that active at 8 years old. Henry learned discipline early on from his time taking dance classes at Kick Dance Studios, where he started dancing at 2. We should mention that Henry’s mother is Vanessa Berry, owner of the dance studio, so dance was in Henry’s blood from day one. Or earlier if you ask Vanessa, who often felt Henry move around in her belly when pregnant. Henry is able to focus and succeed in all his extracurricular activities because of the tremendous self-confidence that dance has instilled in him. And that confidence has carried over into other aspects of Henry’s life. “He’s so confident in the classroom, on the playground, in sports and at karate,” said Vanessa. In fact, Henry’s dōjō commented on his great balance and conditioning. And his guitar teacher noticed Henry’s ear for timing and rhythm. All of these are skills Henry picked up in dance. The 8-year-old is a social butterfly, especially during dance classes. He looks forward to being on a team with the other boys at the studio, but Henry feels at home in any group. “I get along with everyone,” said Henry. We think the world needs more attitudes just like that. Henry is just as comfortable in a big group of dancers as he is performing a solo in front of an audience. It’s this kind of self-confidence that has made Henry up for anything. 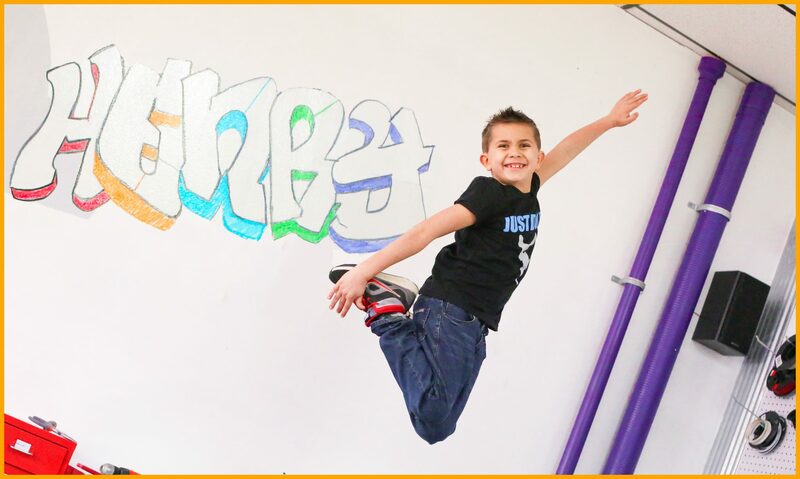 During the photoshoot for Kick Dance Studio’s 15th anniversary celebration at Small Factory Productions in Fair Haven, it took no time at all until Henry was up on a table, jumping sky high with a huge grin on his face for the camera. His confidence shining through each second. The kid is comfortable in his skin. Dance has taught Henry to listen and follow directions, which are vital skills to have when performing solos or dancing in a group. And Henry is loving it. In fact, Henry loves all aspects of dancing. We asked Henry to pick a favorite kind of dance, but he couldn’t do it. Whether it’s breakdancing with the hip hop group or practicing ballet in a room full of girls, Henry genuinely loves all kinds of dance. “He’s just totally comfortable in every kind of situation,” said Vanessa. There can be a lot of pressure being the son of a dance studio owner, but Henry embraced his role and has blossomed into a great dancer, full of confidence and self-assurance. 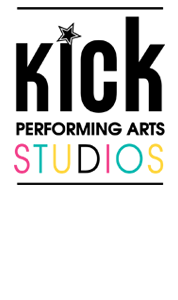 As Kick Dance Studios celebrates its 15th anniversary, we’ll be featuring some of our dancers, like Henry, and the personal stories that make them unique.